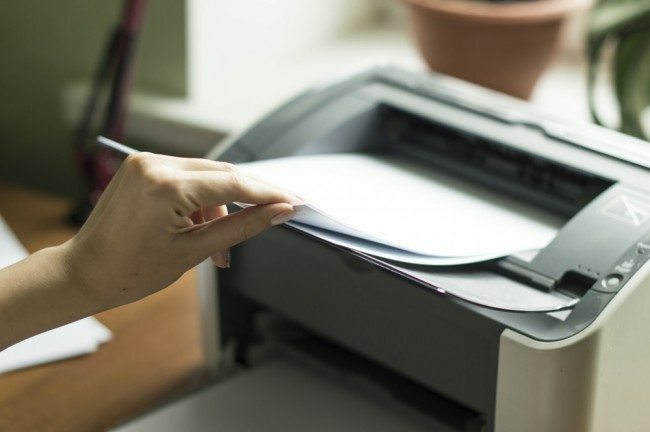 For any new business setting up its office or a company looking to pick up a new printer, the type you’ll buy will likely depend on how many employees are in the workplace and how many printed documents are necessary day to day. Many companies dislike the idea of printing too often due to environmental concerns and to save money, but sometimes a printout is just so much more efficient and easier to look at than a document on a screen. Of course, the right printer for your company size is one thing, but so too is picking up ink cartridges and toners that don’t cost the Earth. UK companies like TonerPartner can also refill old cartridges, meaning you get to be eco-friendly while obtaining cheaper items. So, let’s take a look at some of the best printers in 2019. The HP LaserJet Pro M15 might be small, but it’s going to have a tough time against the fantastic Ricoh SP-213w. Compact but sturdy, this printer is actually very cheap for a good inkjet model and does offer double-sided printing, but some might find it bothersome due to the loud noises it can make – not ideal for a tiny workplace or an office which needs to print dozens of times throughout the day. Still, for an affordable and reliable printer, you can’t do much better than Ricoh. This printer makes a lot of sense for your business if you merely require black & white documents, as it only prints out in monochrome. It’s lightning quick and delivers good results, and perhaps most importantly, doesn’t require a 400-page manual to understand. Power and ink amount can be controlled in its ‘Eco’ mode and it’s actually fairly quiet when doing its thing. The Brother HL-L8360CDW is one of the more expensive printers on this list, but that price is certainly worth it if you plan on printing a lot during the week. Tough and fast, the printer thankfully has several good economic options and is certainly something that will stay the course for many years. It’s bigger and heavier than many other printers of today, but if space isn’t an issue, then it’s a solid option for your office. For anyone with an eye for the environment and their wallet, the Epson EcoTank ET-4550 is a great find. Users can actually get the option to refill the printer using ink bottles, but what’s amazing is that Epson gives two years-worth of ink when the printer is bought (which is said to be 11,000 pages of black and white). Without the need to buy cartridges when ink is gone, the EcoTank ET-4550 may suit a lot of business looking to switch things up with how they buy stationery and other office products. The printer itself is a touch slower than most, but the ink feature is a game-changer.